As announced by Apple last week via a press release published on its website, the 128GB iPad with Retina display is actually available from today in the Apple Store or directly on Store on the net . More accurately and before I ask the question, it is two new versions of the iPad fourth generation 128GB, WiFi only model and the other WiFi + 4G. It comes in both the Wi-Fi and Wi-Fi + Cellular models. 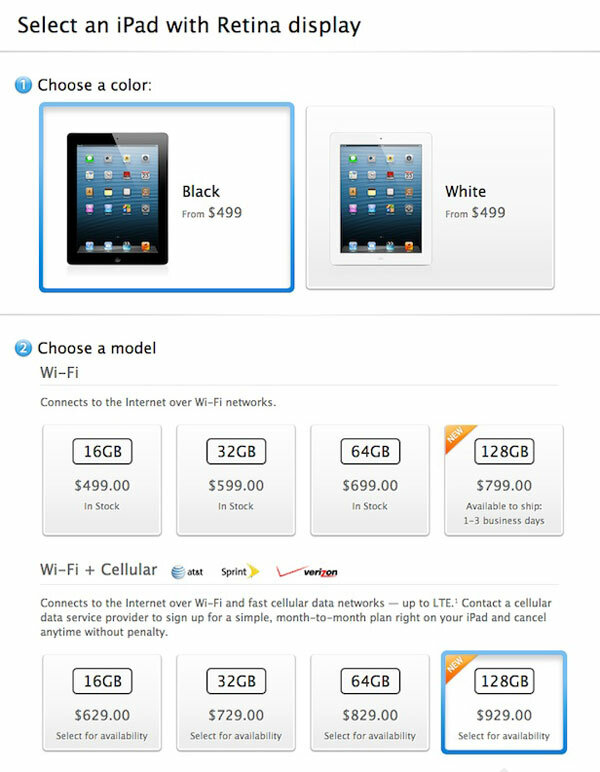 And of course, no surprise for the prices since they are respectively $799 and $929 in black or white. 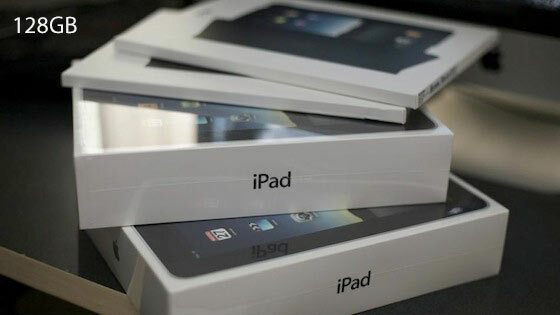 The new 128GB versions of the fourth generation iPad will go on sell for the suggested retail price of INR 49,900 inc VAT (INR 47,523.81 ex VAT) for the iPad with Wi-Fi model and INR 56,900 inc VAT (INR 54,190.48 ex VAT) for the iPad with Wi-Fi + Cellular model. You can buy 128GB iPad with Retina display from official Apple store here.